In the 1950’s, multitudes of rhythm and blues and rock and roll vocal groups formed in cities across the United States. Many of these groups came together at people’s houses, social halls, and talent shows. Other groups were formed while the group members were serving in the military. The Mandells were one such group. Before I continue, I wish to make a point of distinction in order to clear up some apparent confusion. The Mandells that recorded on Smart and Chess records are in no way related to other groups that went by the name “Mandells”. There was a Mandells group that in 1963 released a record on the York record label “It’s No Good (Being Apart)”/ “I Don’t Know What You’ve Got”. This group may possibly be related to a group going by the name Mandells that recorded a record for the Jubilee record label called “Doin’ The Look”/”True Love Is Hard To Find”. 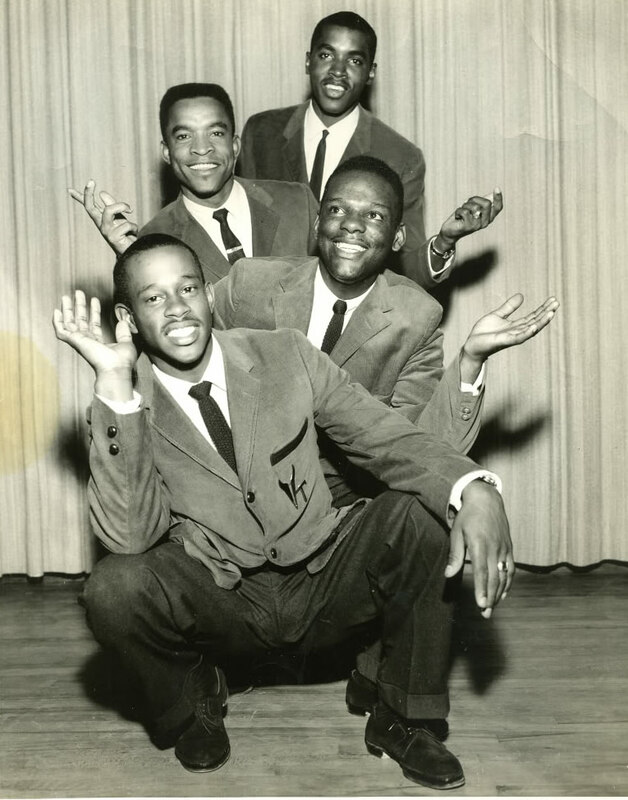 There was also a group calling themselves The Mandells that came from Chicago, and recorded for labels such as Moneytown, Moneytree, Hourglass, and Trans World Sound. The group that I am writing about is in no way affiliated with these other groups. Our story begins on February 3,1938, when Eranious McNeil Murray (aka Neil Murray) was born in North Charleston, South Carolina to an AME Church minister and preacher. The area north of the City of Charleston is historically an area that consisted of large plantations, small farms, and, later, industry and business (North Charleston did not become its own city until 1972, the year that it was incorporated). Eranious grew up during a tumultuous time in the 1940’s and 1950’s, years that are well known both for the wars that took place as well as for the diversity of the music. In the United States throughout the 1940’s, there were many different forms of popular music. There was swing music, different styles of jazz, different styles of blues, country, and folk. Jazz and blues in particular merged together in the late 1940’s to form a new style of music that became known as rhythm and blues, or R&B. This new form of music became very popular among black Americans in the United States. However, the new musical form did not become “mainstream” until the middle 1950’s and the arrival of artists such as Elvis Presley and Bill Haley & His Comets. “Rock and Roll” music can be thought of as a fusion of rhythm and blues, country, pop, and folk music, and this is the music that artists such as Elvis Presley made popular. Concurrent with the arrival of rock and roll music was the rise in popularity of music that later became known as “doo wop”. Specifically, we are referring to a style of vocal group/choral singing, which spread throughout the United States in the late 1940’s, and early to middle 1950’s. 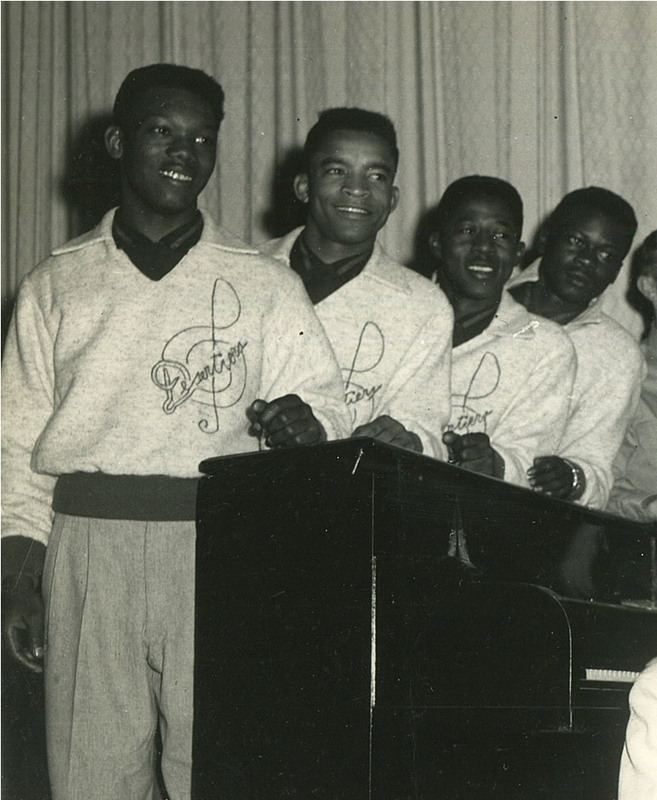 This style of vocal group music was also especially popular in the black communities, and began to really “take off” around 1956, the same year that rock and roll began to drastically increase in popularity. It was this unique fusion of musical styles that young Eranious Murray became exposed to as a youngster and which so greatly influenced him during this time. Young Eranious Murray (he wasn’t known as Neil Murray until many years later) grew up involved in the church in South Carolina. He left Charleston, South Carolina in the fifth grade and moved to Union, South Carolina. Then, in the eighth grade, his family moved to Newberry, South Carolina. In the eleventh grade, his family moved yet again – this time to Saint Matthews, South Carolina. There, he attended John Ford High School. In the middle of 1955, Eranious Murray was a seventeen-year-old kid who had just graduated from John Ford High School in South Carolina. He was short – at 5 feet 2 inches and 106 pounds, and was looking at that point to leave the South as well as to try and save money for college. It was at that point that he decided to join the United States Air Force. Eranious joined the United States Air Force in June of 1955. He first went to Lackland Air Force Base in San Antonio, Texas for eleven weeks of military training. He then briefly went back home to South Carolina, after which he went to school for training as an engineering draftsman in Fort Belvoir, Virginia. He finished this schooling about two weeks before Christmas of 1955. After that, he went back home to South Carolina again, for nine days. From there, he went to New York (his first time in New York) and Manhattan Beach Air Force Station in Brooklyn, which is where he got shipped out to Europe. In December 1955, he flew out to Frankfurt, Germany. From there, he took the train to Munich, Germany. He then took another train from Munich to Erding, Germany. Erding was a little town about nineteen miles from Munich, and this is where his U.S. Air Force base was located. At this base, they were teaching the Allied pilots to fly jets. Eranious remembers walking onto the base at Erding on the day after Christmas, 1955. He walked into the administrative offices of his squadron, into the office of the First Sergeant of his squadron. As he walked in, there was a popular song that was playing on the radio by the name of “Sixteen Tons” by an artist named Tennessee Ernie Ford. These were the original and main four members of The Supremes. Other guys later drifted in and out of the group, but these were the core members. Note that Neil started the very beginning as a second tenor in the group, but quickly became a baritone/bass when his voice “dropped down”. Wil ‘Dalas’ Hubbard was from Dallas, Texas originally. Harry Golphin came from Brooklyn, New York. In the spring of 1956, Eranious and his vocal group The Supremes won the championships (an annual air force talent competition called ‘Tops in Blue’) held at their base. They then went to perform at the European championships on another base, in Wiesbaden, Germany, and won there as well. Also that spring (late in the spring), he and his squadron moved to Bordeaux, France. The Supremes continued at Bordeaux, and were doing well. They did a lot of practicing and rehearsing, with Eranious sitting at the piano and coming up with the harmony. In mid fall of 1956 (around October), Eranious and James Lay (another member of The Supremes who today is a preacher in St. Louis, Missouri) volunteered to go to Wheelus Field Air Force Base in Tripoli, Libya for thirteen months. They were in the Libyan Sahara Desert in Libya. The Supremes at that point ceased to exist as it had. Eranious and James became the nucleus of another vocal group, which was called “The Desertiers”. Soon afterward, The Desertiers performed at the North African championships held at Wheelus. These were the various divisions of the air force that competed. Eranious remembers beating the group there that later recorded the song “Stranded In The Jungle”. The Desertiers also beat four other groups, and went on to win the North African championships in the spring of 1957. In late spring of 1957, they went back to Wiesbaden, Germany, and performed at the European championships once again. In the fall of 1957, Eranious and James Lay left Libya. This was the end of The Desertiers as it had existed. In addition to being a part of two vocal groups, Eranious had flown out to and visited more than twenty countries during his time as an engineering draftsman in Germany, France, and Libya. These were very exciting times for him. It is important to note that the three tenors in the group were very versatile, and were able to sing different tenor positions. In addition, they also went forth and sang the lead vocal at various times. Milton Smith was an extremely talented “navy guy” who was originally from New Orleans, Louisiana. Milton was a particularly good lead singer. Jimmy Smith was from Philadelphia, Pennsylvania, and was not related to Milton Smith. Jimmy worked at Kirtland as a fireman in the U.S. Air Force. Jimmy was “quick” and extremely talented musically. Eranious and Jimmy would become the best of friends. Wayne and Barry Boswell were actually twins, but they looked different. They, too, were at Kirtland Base. Barry did not last long in The Vocaltones, however, and the group was then left with just four guys. In addition to his singing, Eranious would also play piano with The Vocaltones, whenever there was one available. The Vocaltones had a lot of performing talent, and began to grow in popularity. They entertained people around Albuquerque and won various competitions. 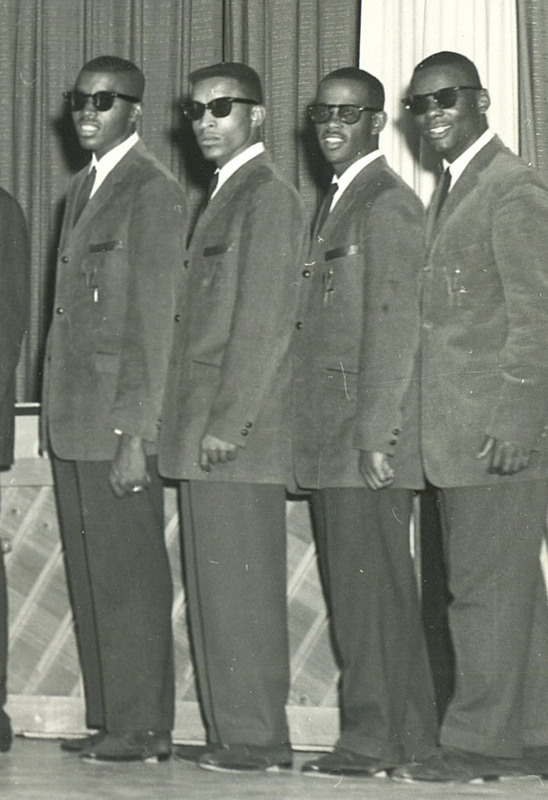 In the spring of 1959, The Vocaltones won the talent championships held at Kirtland Air Force Base. They were the winners of their division. They then went on to the world championships held in Cheyenne, Wyoming (in the late spring of 1959), where they came in at second place. These championships were also popularly known as the “Tops In Blue”. The Vocaltones as a group existed from January 1958 until mid-1959. Many things happened for Eranious during this time. Eranious was in the Air Force from 1955 until he was discharged on June 7, 1959. After that date he was out of the military, and was then considered a civilian. His dad had passed away by that time, and he took a train to South Carolina to visit some friends. His mom was living in Winston-Salem, North Carolina at the time. Shortly after that, he took a train back to Albuquerque, New Mexico. In the fall of 1959 (and lasting until the fall of 1960), Eranious got a job working as an engineering draftsman for the US Army Corps of Engineers in downtown Albuquerque. The US Army Corps of Engineers was and is responsible for water control. In January 1960, he began college at the University of New Mexico. The Vocaltones continued to exist as a group throughout the beginning of 1959. However, there was a big problem. Wayne Boswell and then Milton Smith had left the group. Therefore, the only two people left in the group were Jimmy Smith and Eranious Murray. The Mandells existed as a group from 1960-1962. Not one member of The Mandells was from Chicago, as has been speculated. 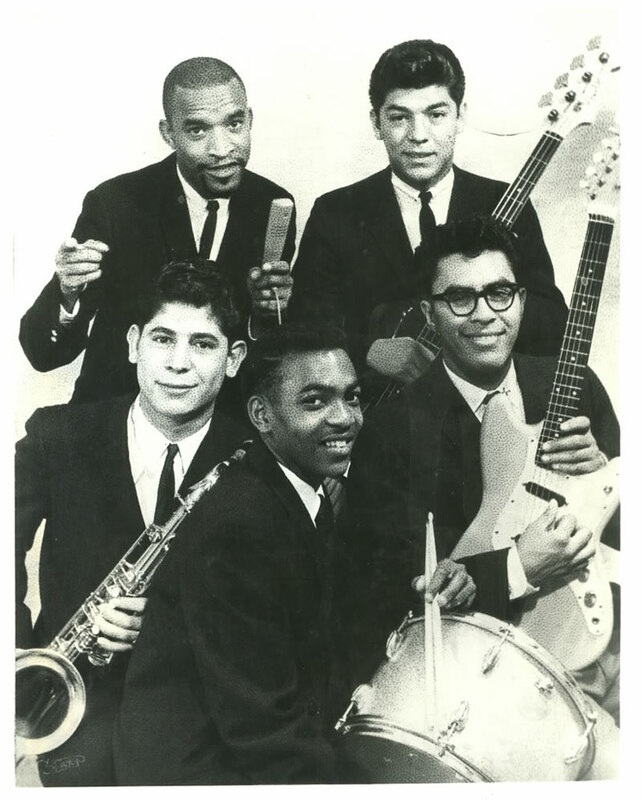 The only connection between this particular Mandells group and Chicago is that their record “Darling, I’m Home/Who, Me?” got released on Chess Records, which was a Chicago record label. was called The Swinging Supremes. The Swinging Supremes existed as a group from 1960-1963, but they did not record anything. They were a band that played local gigs around Albuquerque, New Mexico. Some of these gigs were together on stage with Eranious’s other group, The Mandells. In addition, The Swinging Supremes were the featured band at the University of New Mexico on Wednesday night band nights at the Student Union Building. They also performed at new hotels that opened up around Albuquerque, New Mexico. Sadly, Emilio Armijo later passed away in an accident after having served in the navy. 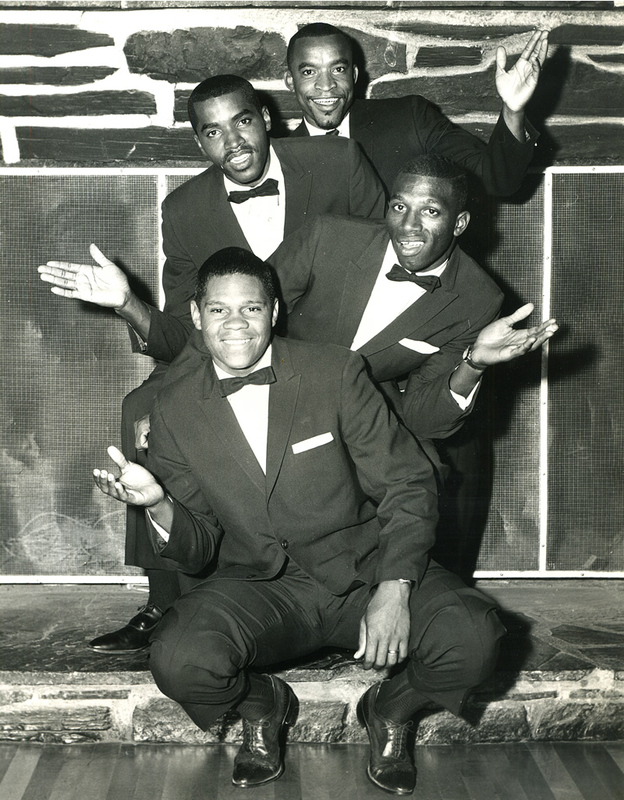 1960 was an exciting year for Eranious because he was in college, was working for the U.S. Army Corps of Engineers, and was busy performing with both The Mandells and The Swinging Supremes. In the fall of 1960 Eranious got a new job, and was working back at his old desk at Kirtland Air Force Base. He returned to his old job as an engineering draftsman - however, this time as a civilian (as opposed to being in the air force). He worked in the civil engineering office at the base at Kirtland from the fall of 1960 until 1967. When he first started this new position, the other members of The Mandells were still serving in the military. The year 1961 was a busy year for The Mandells. Eranious was at Kirtland Air Force Base working as a full time engineering draftsman, as a civilian. Jimmy Smith met a young woman from Albuquerque named Priscilla (who he would later marry) in January 1961, just prior to the group’s record deal. Chuck Young also met a woman named Eva (also from Albuquerque) around this time. On one particular day in 1961, the five members of The Mandells took an eight-hour car ride from Albuquerque, New Mexico to Phoenix, Arizona. Arriving at Phoenix, the group was then directed to the Audio Recorders Record Studio in Phoenix, Arizona, where they were to cut four songs which would get released on Smart Records. Smart was an Arizona-based record label that had been around since 1949. It was during the long car ride that Eranious Murray wrote the song “Who, Me?” as well as his bass voice intro to the song “Darling, I’m Home”. “Who, Me?” was a “funny-sounding” song in the vein of the popular group The Coasters. The officers at Kirtland Air Force Base had always been fans of this particular type of song. “Darling, I’m Home” was a song that lead singer Chuck Young had mostly written, and prior to the trip to Phoenix. Now added to that song was Eranious’s distinctive bass vocal intro that went “you know I turn back the calendar, I mark mark off the days, I’m hoping and I’m praying that you’ll come back some day, do do do”. Eranious wrote this part so that the song would have an open intro, rather than just horns or something similar. 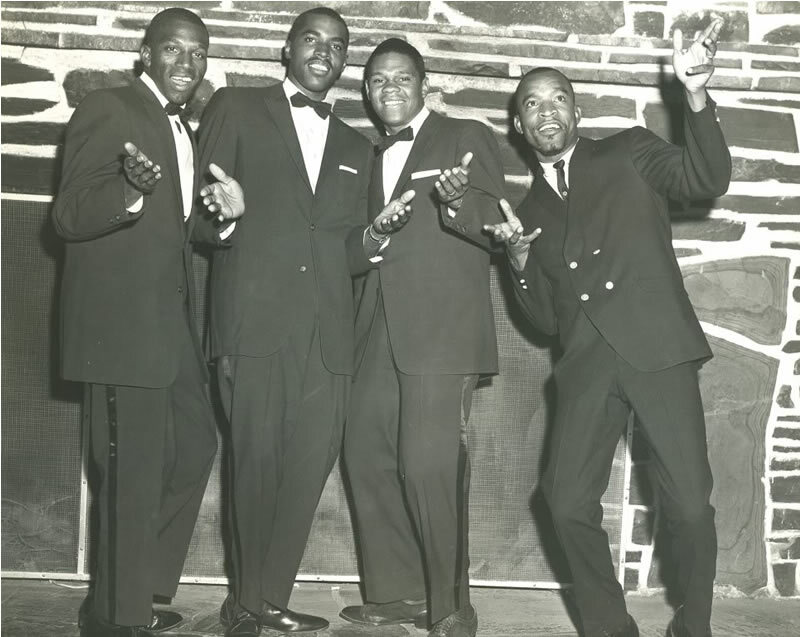 In this photo, from left to right are: "Peesburgh", Charles Clemons, Jimmy Smith, Chuck Young. who is not seen, but is playing the white colored piano behind him. Just prior to recording their four songs in Phoenix (the songs were “Darling, I’m Home”, “Who, Me?”, “I Don’t Have You”, and Because I Love You”), The Mandells ate lunch at a local restaurant. After this, they went on into the studio for the recording session. The session itself was relatively quick, and lasted for only about two or three hours during the early afternoon of April 8th, 1961. The songs were recorded completely live and all in one take. Ray Esquivel (from TheAlbuquerque group The Gliders) played saxophone on the session. No other songs were recorded at the session other than the four songs. “Darling, I’m Home” was recorded first, followed by “Who, Me?”, and then the other two songs. “Darling, I’m Home” was a particularly strong recording, and it featured Eranious Murray’s distinctive bass vocal intro, Chuck Young’s unique “Smokey Robinson-type” lead vocal, Jimmy Smith’s beautiful tenor voice, and Russell and Charles Clemons singing along in harmony. Eranious sang the bass vocal intro, followed by Chuck Young on lead singing “darling I’m home, here by your side”, and Jimmy, Russell and Charles singing the “ho, ho”, in the background together. Jimmy Smith is the “highest-sounding” voice in that background. “Who, Me?” featured Eranious Murray’s bass vocal and had Russell carrying the melody. “Because I Love You” was a beautiful song that Eranious Murray had written specifically for Jimmy Smith to sing lead on. Eranious wrote “Because I Love You” in honor of Jimmy Smith having met Priscilla, and he wrote it prior to the trip to Phoenix, and specifically for the recording session. 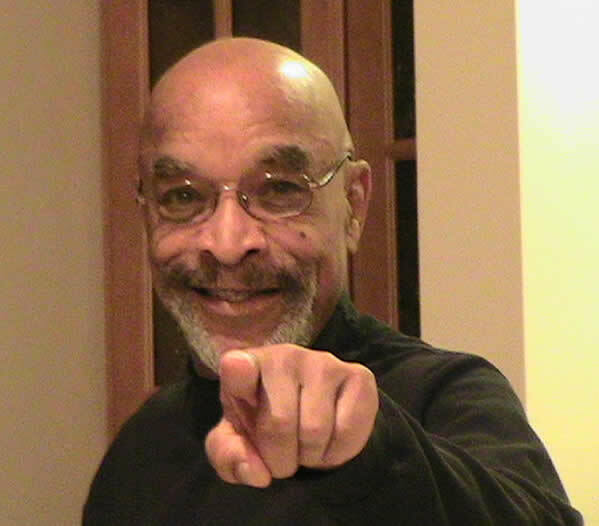 “I Don’t Have You” was a ballad that once again featured the lead vocal of Chuck Young. This, too, was written by Eranious, and was written specifically for their recording session. Four members of the New Mexico group The Gliders served as the back up band on the session. Like The Mandells, the Gliders also travelled from New Mexico to Phoenix, Arizona for the session. The Gliders on the session were: Ray Esquivel - leader and saxophone, David Trujillo - piano, Ray Lopez - drums and Eddie Gallegos - guitar. Bass on the session was played by a local musician by the name of Buddy Wheeler, who is better known for having been the bass player on some of Duane Eddy's early recordings. The recording engineer was a man by the name of Jack Miller. The musician's union contract for the session reads that the session was done for the "Desert Recording Company of PO Box 1026, Sierra Vista, AZ," and was signed for by a man named Gaither E. Stepp. Stepp was the producer of the sessions, and probably came from Sierra Vista, Arizona. He was a white guy, probably in his thirties at the time. The group did not meet Stepp until they had arrived in Arizona to record. Stepp did not actually write any of the songs (even though he is credited as a co-writer on the record label). The Mandells themselves did all of the collaborating on and writing of the songs, and much of it on the car ride on the way to the studio itself. It is likely that Stepp was the connection for The Mandells to a man named Bill Hillman, who owned the Smart record label. Smart Records was started back in 1949 in Phoenix, and the label had a small studio at the time as well. In the late 1950's, Bill Hillman moved his amusement business further south to Sierra Vista, Arizona, which was located next to a United States military base at Fort Huachuca. When the Mandells session took place, Smart was still based in Sierra Vista. However, the label did not have its own studio at the time. That is why the session took place elsewhere - in this case, at the Audio Recorders studio in Phoenix. “Darling, I’m Home” received some local airplay at the time. The two records were pressed by Sidney J. Wakefield Custom Record Pressing of Phoenix, AZ. "Darling, I'm Home" (with “Who, Me?” as the flipside), was first released on Smart #323, and then got leased to the Chess label out of Chicago. "Because I Love You" (backed with "I Don't Have You") came out on Smart #325. Eranious thinks that Stepp may have known someone over at Chess, and did a good job at promoting the record. Eranious remembers that “Darling, I’m Home” came out at about the same time as the popular song “A Little Bit Of Soap” by the Jarmels. Eranious can today remember driving west one day on Route 66 in Albuquerque, shortly after his record had come out. A popular jockey named “Pal Al” Tafoya was playing “Darling, I’m Home” on the local KLOS radio station. Eranious was thrilled when he heard his song being played on the radio. The Mandells had been well known around Albuquerque, but being on the radio was a whole new situation for them. It triggered memories that would last a lifetime. The group went out and continued to perform after the songs had come out. On one particular Saturday, The Mandells went on the local Johnny Appleseed show and performed. Charles Clemons sang with the group most of the time, particularly when the performance venue gave Eranious access to play a piano. 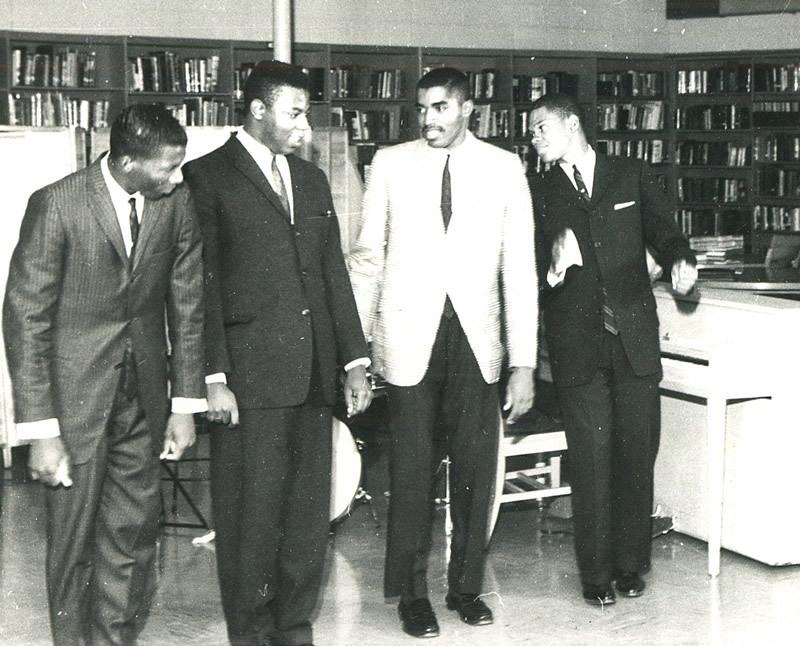 Charles was able to sing bass as well, and the four guys would often be seen singing and dancing their “in-step group moves”, while Eranious would sit and play at the piano. In addition to singing their own songs, The Mandells also would sing popular hit songs of the day. Jimmy’s ex-wife Priscilla (who now goes by the name Priscilla Conkrite) remembers the popularity of The Mandells peaking during this time. She says that “Mostly, they sang at Kirtland and Sandia NCO Clubs (Chuck was stationed at Manzano) and once or twice they performed at the Albuquerque Civic Center. Once, they also sang at one of my high school dances (I attended Harwood Girls School). Neil didn’t want to sing at my school dance - - as I recall, Jimmy had to talk him into it. I guess Neil thought my school was a waste of their time; however, my friends and I were thrilled and Jimmy understood how much it meant to me.” Priscilla also remembers the group practicing two or three times a week “when they could reserve a small room with a piano on base.” She would attend many of these practice sessions. Eranious was, however, the “unofficial leader” of The Mandells. He was a little older than the other guys, was the one who scheduled the rehearsals, and made sure that everyone in the group would take turns singing lead on some of the songs at their live performances (including Charles Clemons). The rehearsals, of course, went on throughout 1961 – both before and after they made the records. Chuck Young, Neil Murray, Jimmy Smith, Mike Silva, "Peesburgh"
Here is yet another photo of the Darling, I'm Home Mandells. Here they are shown performing at the Civic Auditorium in Albuquerque, New Mexico. The Mandells were a vocal group that performed all around Albuquerque, New Mexico in the early 1960's, as they were stationed on two airforce bases there. Here the group is singing a Hank Ballard and the Midnighters song, with "Peesburgh" shown singing lead on this particular song. The group was very versatile, and various members sang the lead at various times. Mike Silva is shown playing saxophone, along with the rest of Neil's other group at the time - the Swinging Supremes. 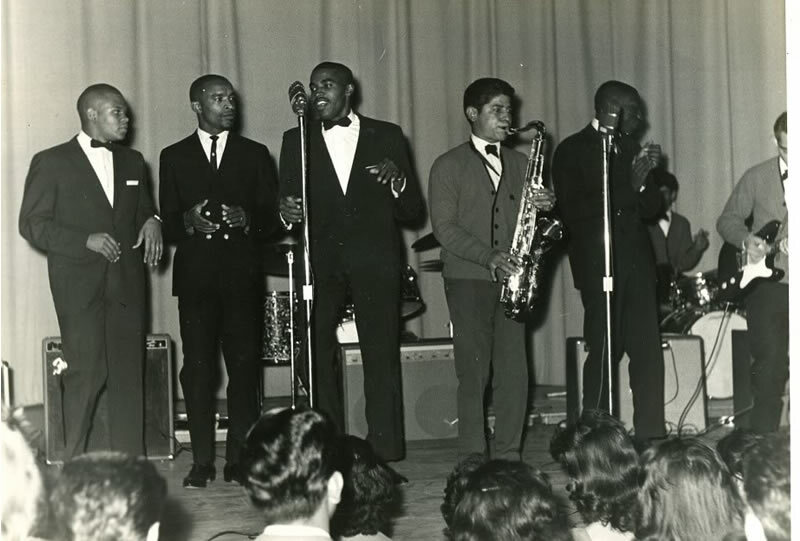 Jimmy Smith was discharged in February of 1962, and The Mandells thereafter broke up. Jimmy went back to Philadelphia at that time, and Priscilla joined him in Philadelphia in August of 1962. The two were married in April of 1963. Back in Philadelphia, Jimmy (his legal name was James) found a job working for Boeing Vertol – first as a firefighter, and then becoming a crew chief. After years of doing that, he got a job working for the Los Angeles Times newspaper. He became enormously successful working for the newspaper. Jimmy had a charming personality, and was well liked. Chuck, Charles, and Russell remained in the service until they retired. Russell worked in intelligence in the air force. Chuck reenlisted and went to Southern California. Chuck was a good friend of Roy Lott, who is the father of the famous football player Ronnie Lott. Eranious Murray got married to a lovely woman from Albuquerque named Juanita Cole. He went on to work in local (Albuquerque) radio and television. In around 1963, he started working as a disc jockey for KBNM FM in Albuquerque. He was a popular local disc jockey with the air name of “The Priest From The East” (many still remember him by that name today). He had a busy day because he would be working as a civil engineering draftsman at Kirtland Air Force Base during the day, and would broadcast on the radio at night. Word started to get out around Albuquerque and the University of New Mexico about him at that time, and he also was on KUNM, which was the University of New Mexico’s own radio station. Being that he got such good ratings, he then got a job working for KOB radio/77 AM in Albuquerque, which was an enormously popular station. It was at this point that he really started to be called “Neil Murray”. After that, he worked at KDEF, another local station. There, he was on the air from 6-8 pm as “Neil Murray” and from 8pm to midnight as “The Priest From The East”. He really started being called “Neil Murray” after he started in Albuquerque television in 1973. He started his work in television doing promotion, and then in 1974 went on the air on KOAT/Channel 7 TV (the ABC affiliate there) as a sportscaster, after which he worked as an investigative reporter and doing a feature called “On Your Behalf”. Neil currently lives in Golden Valley, Minnesota, where he still records in his own recording studio to this day. Sadly, both Chuck Young and Jimmy Smith have passed away. Jimmy died of cancer around 1998 and Chuck passed away in 2008. The Mandells were a fantastic vocal harmony group, and are fondly remembered to this day by all who experienced them live, and well as all who continue to appreciate their recorded output.